More and more people are swimming in Amsterdam’s open water, but not always safely! 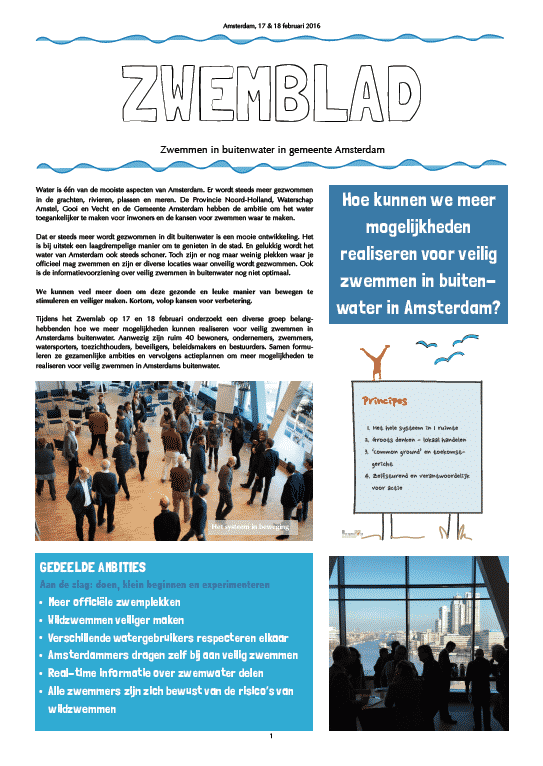 The municipality, water board and province want to enable more possibilities to have a safe swim in Amsterdam’s open water. In February 2016, more than 40 stakeholders from various backgrounds came together for a dialogue to discover the possibilities. Among the stakeholders were: swimmers, local residents, water sport enthusiasts, entrepreneurs, security guards, regulatory authorities, policy makers and politicians. 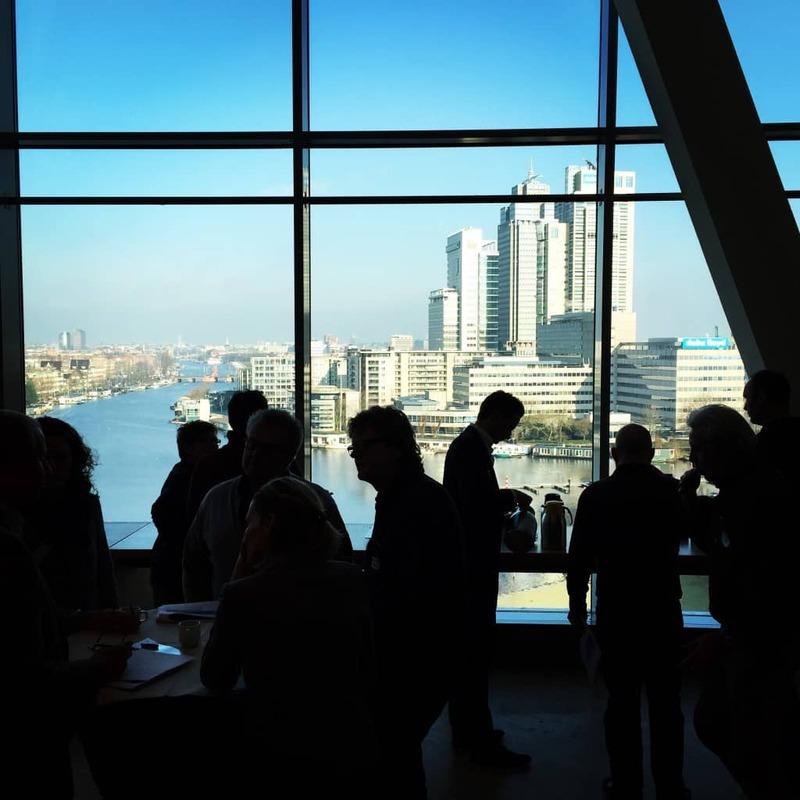 Perspectivity designs and facilitates the meeting, which takes place at Waternet with a great view on the Amstel. Based on trends and dreams for the future, a shared ambition and short-term actions are formulated. Examples of these actions include more official swimming locations, safer swimming at non-official spots, a real-time swimming water app and a raised awareness about the risks involved.